Last Sunday was a lovely early fall day – perfect for shunning indoor chores and going for a stroll. 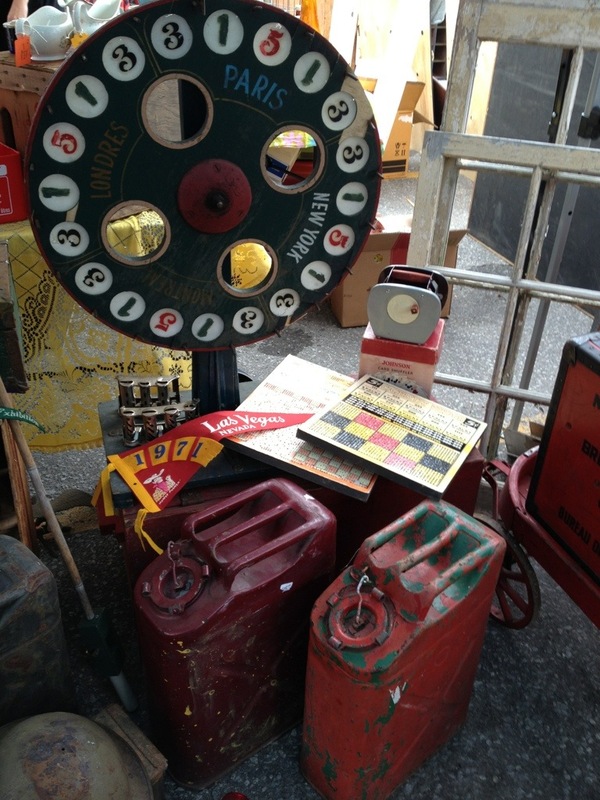 We decided to check out a small vintage show near where we live – the Leslieville Flea. Leslieville is a hip neighbourhood along Queen street in Toronto, full of funky businesses and some of our favourite restaurants. 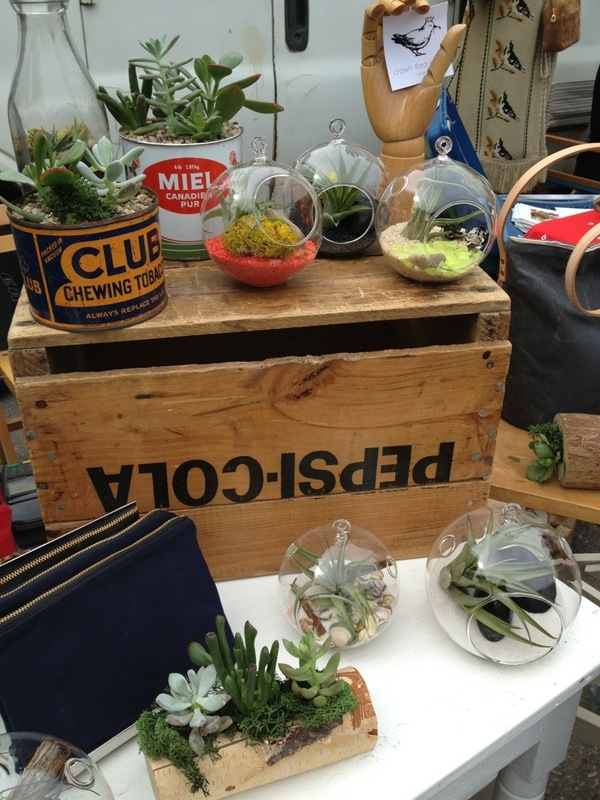 The Leslieville Flea is open 10am – 4pm, on the 3rd Sunday of every month from June to October. 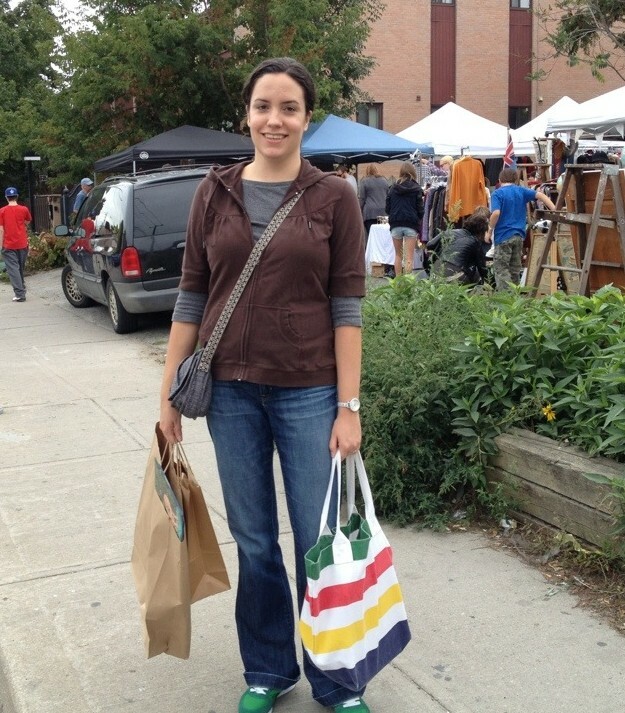 The Leslieville Flea operates behind The Duke. 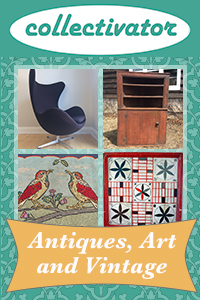 I was curious about “the flea” (not sure if that’s the official nickname but it sounds cool) because it represents a growing movement in the whole antiques industry – what I call the melting pot vintage space. In these usually urban spaces the emphasis is on a style rather than traditional definitions of antiques or vintage. It’s a place where mass produced mid century design is sold alongside rustic antiques, and salvaged items can be mixed with brand new artisan crafts. 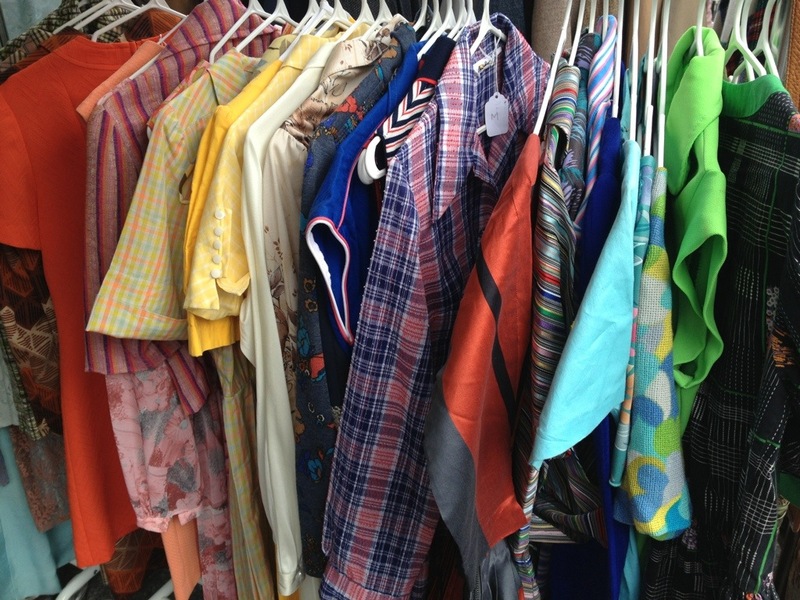 There are clothing dealers and nostalgia items. There is glorious glorious kitsch. It’s a place I think many new collectors feel comfortable in because it’s reasonably priced ($15 – $50 for many items) and the sellers are friendly. It is in variety similar to a normal flea market but taken up many notches on the “ratio of stuff I actually want to buy” scale. You will probably not find early painted 19th century furniture, but you also won’t see boxes of random tupperware lids. We had a great time touring the three rows of booths and looking at the stock. Although not a large show, we saw everything from classic Canadiana like antique snowshoes, to 1980s toys, to large pieces of furniture like vintage Canada Post mail sorters (displayed as a possible wine rack). You could spend a lot of money on high quality collectibles or a little money on something easy to carry home. Some of it felt like it had a “hipster markup” on the price, but most things were very reasonable. The dealers were happy to tell you about the items, and honest enough to admit when they didn’t know something. Most importantly, we found a bunch of stuff to buy! The trip was a complete success and I would gladly visit again. The dealers were also very social media savvy and encouraged me to take photographs, so here be a bunch of pictures! 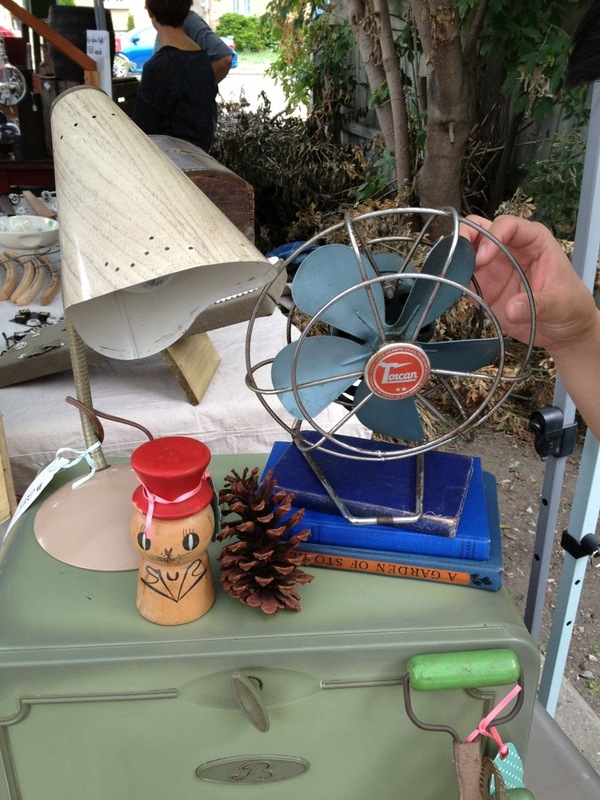 Anson is about to grab that vintage fan from Coco & Bear. It still works! I love how the design makes absolutely no attempt to stop wayward fingers from whirling blades. 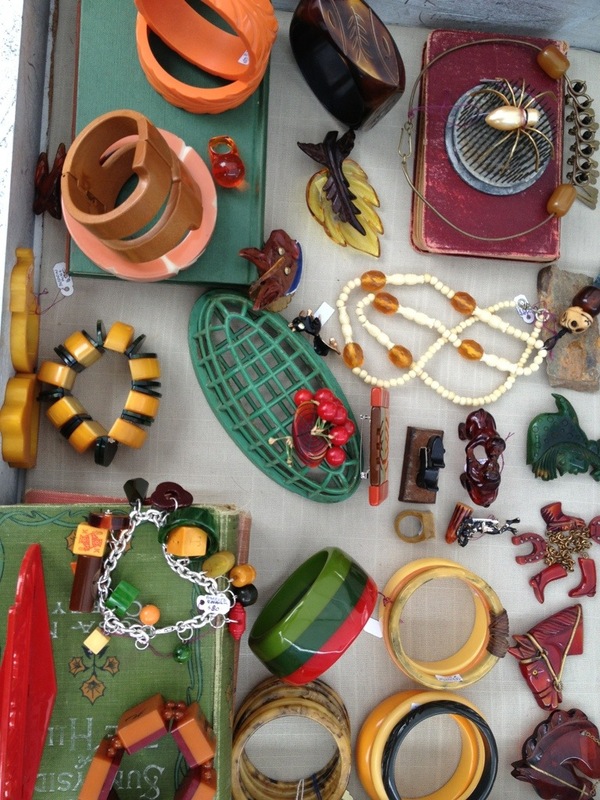 A gorgeous selection of Bakelite from Lucky Patina. They also sell vintage brass jewelry. 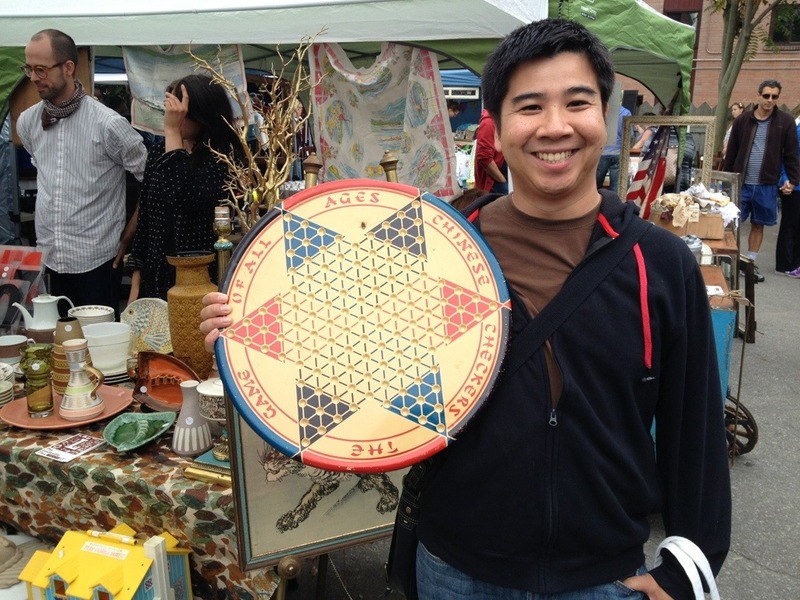 Anson finds a 1950s Chinese Checkers board. Is this the start of a new collection? 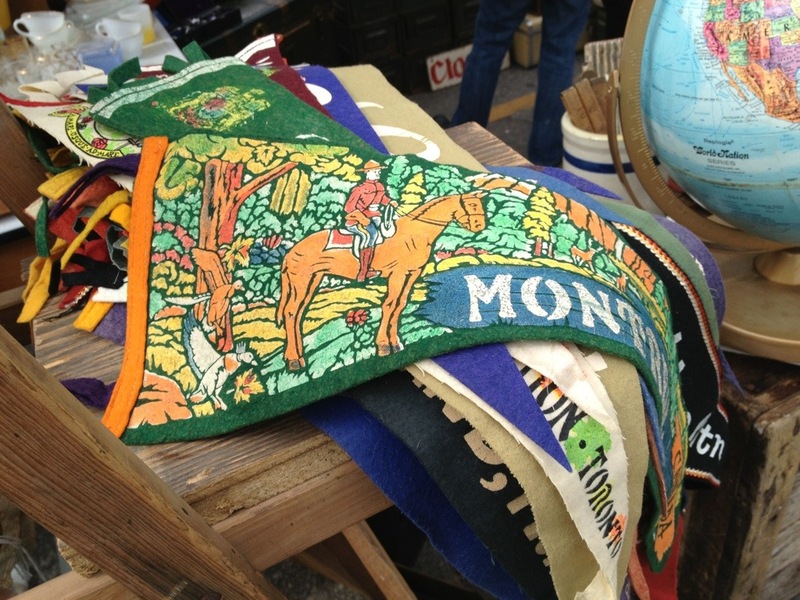 Vintage felt pennants from Bragg & Bee. I had to buy that one on top. Put a bird on it. 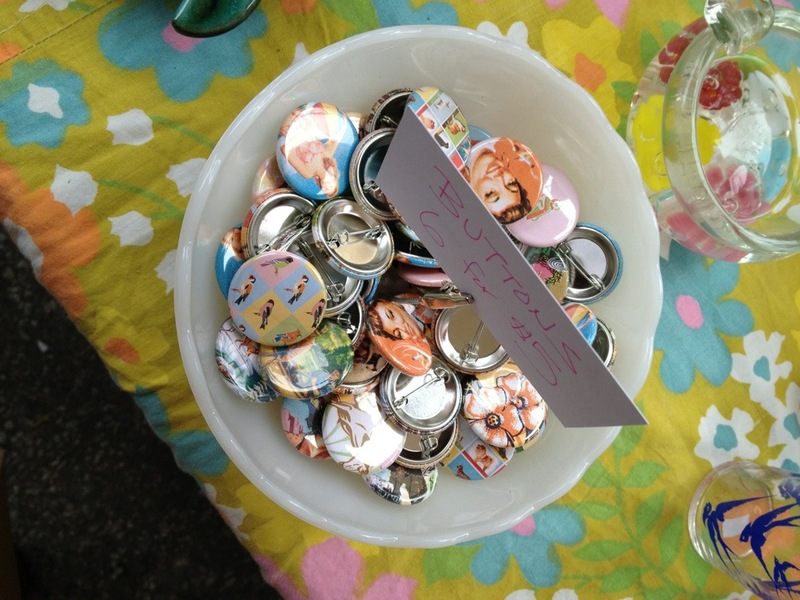 A bowlful of cute and kitschy buttons! I’m not sure what that wheel does, but it looks exciting. 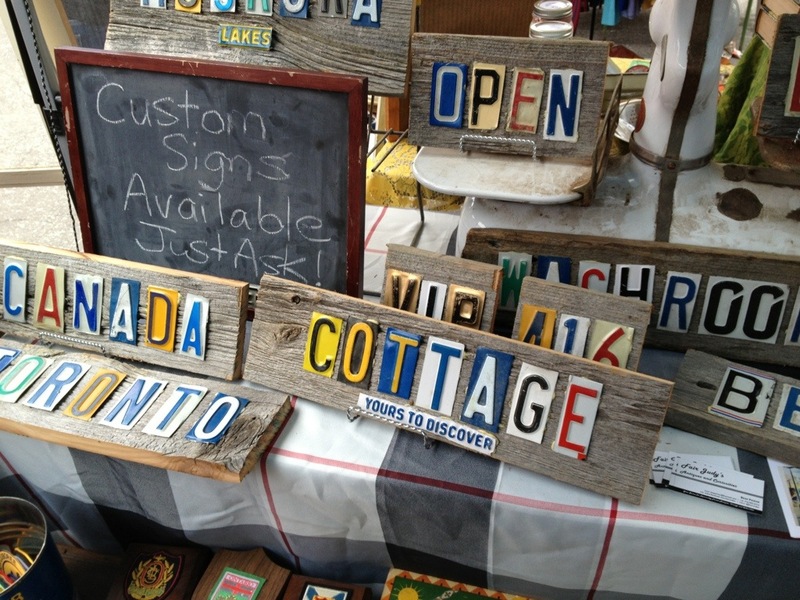 Signs made out of reclaimed lumber and licence plates available from Fair Judy’s. With all my purchases and ready to head home. A bit of beach in a bottle. 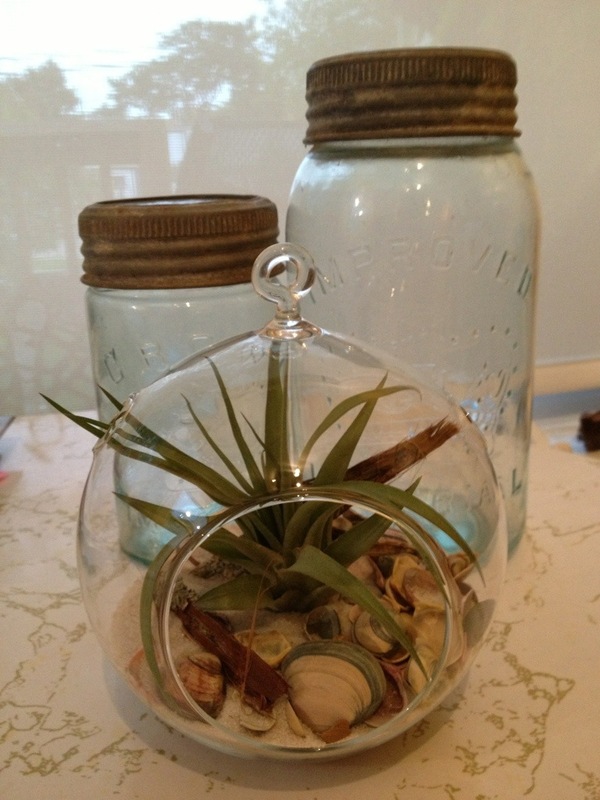 Blue tinted Crown jars for a friend. 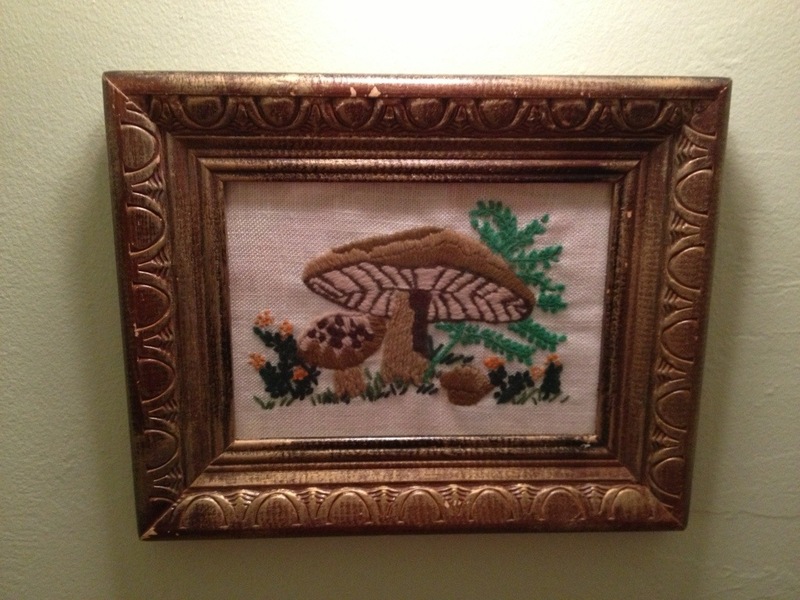 My kitschy toadstool needlepoint. The frame is good, and the mushrooms are very mushroomy. A small piece to inject some cozy into a corner of the house. 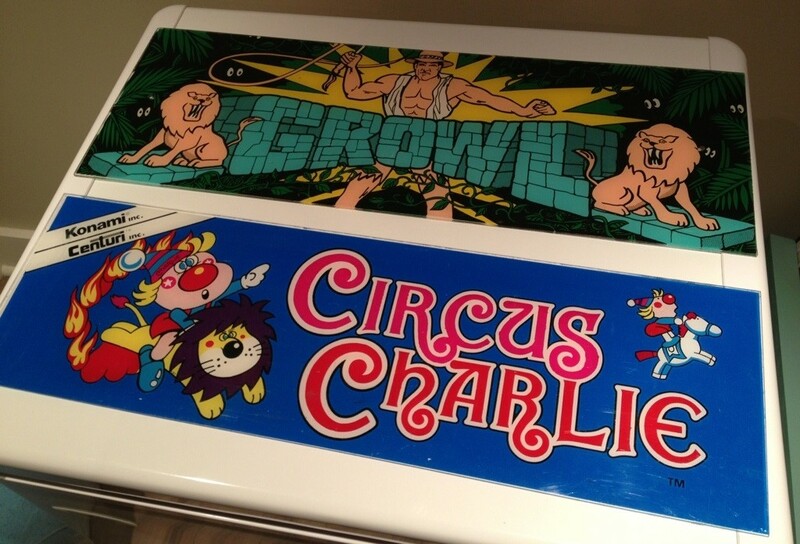 Plexiglass Marquees from old “Growl” and “Circus Charlie” arcade machines. Cool things to put on a wall and way easier to collect and display than the actual machines. 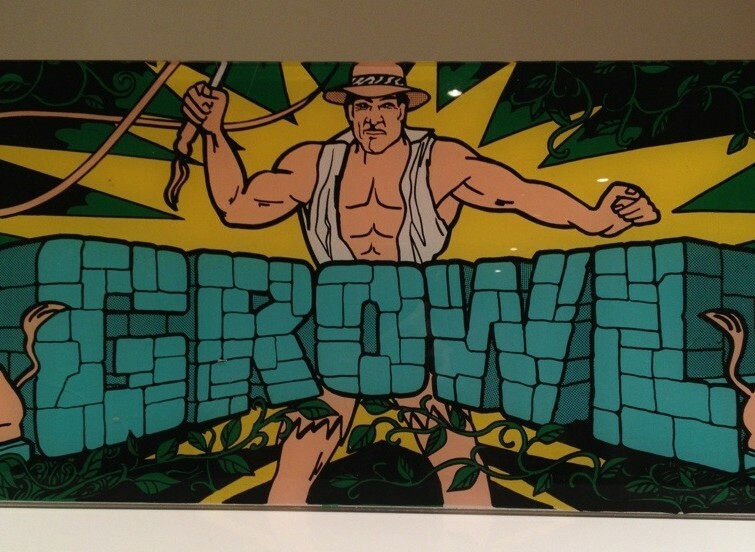 I picked out this Growl marquee based purely on the image. The lions and text are great. Apparently the game’s plot is about a man saving wild animals from evil poachers. A very special added bonus is that it looks like the hero isn’t wearing pants.